You probably should skip breakfast and lunch for this one-off burger bonanza. There is only one thing better than a great burger and that's an unlimited supply of great burgers. 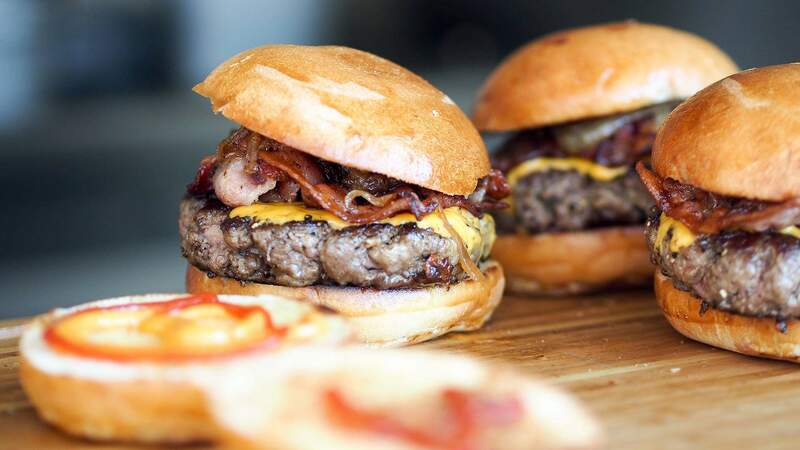 Dirty Little Secret's trendy rooftop bar will become a burger heaven on May 28 as it hosts an all-you-can-eat burger event for National Burger Day. DLS's current burger menu features a beetroot, pomegranate and quinoa creation topped with a pea fritter, slow-cooked pulled pork served with crunchy slaw and barbecue sauce and a dirty double cheeseburger with 180 grams of beef. We wouldn't normally recommend fasting but you probably should skip breakfast and lunch to make sure you can fit in as many burgers as you possibly can. This event will be $30 and kicks off at 5pm. Bring your hungriest friends, flatmates, colleagues or family members to this one-off burger bonanza. Tickets are available at the bar.